Premier heavyweight boxing is back, as knockout artist and WBC titleholder Deontay Wilder (40-0, 39 KOs) will fight former world champ Tyson Fury (27-0, 19 KOs) on Dec. 1. Premier heavyweight boxing is back. Knockout artist and WBC titleholder Deontay Wilder (40-0, 39 KOs) will fight former world champ Tyson Fury (27-0, 19 KOs) on Dec. 1. The announcement of the fight came Friday night, the day before Anthony Joshua (21-0, 20 KOs), the unified heavyweight titleholder, is set to face Alexander Povetkin (34-1, 25 KOs) at Wembley Stadium. Joshua is an overwhelming -900 favorite over Povetkin, who is 6/1 to win. The total for rounds is 7.5, with the OVER -130 and UNDER even money. 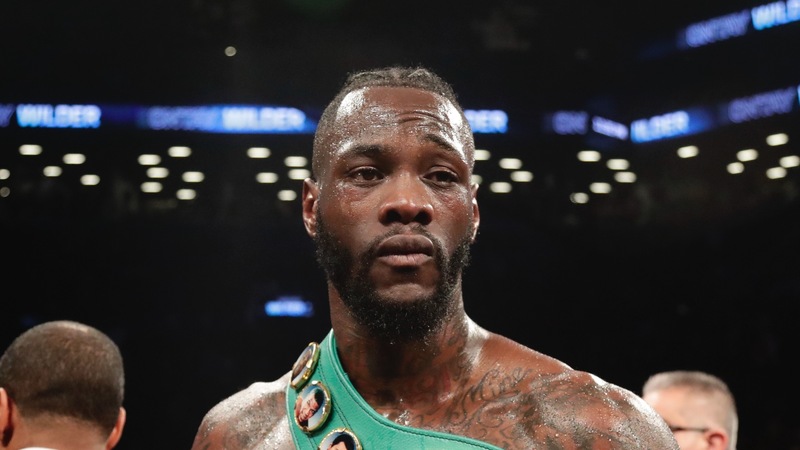 Wilder, an American, had accepted a $15 million flat fee to fight Joshua this fall, but Joshua and his promoter instead opted to fight the more obscure Povetkin, who was one of his mandatory challengers. Joshua's promoter previously said he'd also fight at Wembley this coming April, so the inclination is that Wilder will be his opponent. But Fury is also British, so the fight could be his if he beats Wilder. The location for the Wilder-Fury bout hasn't yet been determined, but it will likely be held at Staples Center in Los Angeles or the Mandalay Bay in Las Vegas, [ESPN reported](http://www.espn.com/boxing/story/_/id/24757375/deontay-wilder-tyson-fury-bout-officially-announced-dec-1) Saturday. ## Wilder-Fury heavyweight title odds Wilder, who turns 33 next month, has been installed as a -165 over the 30-year-old Fury (+145). Wilder last fought in March against Cuban fighter Luis Ortiz at Barclays Center in Brooklyn, earning his 40th professional win with a 10th-round knockout. It was his eighth title defense. Fury fought twice over the summer (both wins) after a nearly three-year hiatus due to injuries, failed drug tests and problems with depression and drugs. He relinquished his titles in Oct. 2016. Wilder will be, by far, the best opponent of his careeer. The fight will be a pay-per-view bout on Showtime.